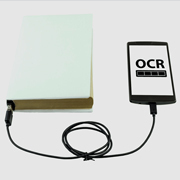 Optical character recognition or OCR is one of the best and the fastest methods used for automated data capture. It is one of the most popular technologies used by businesses to convert different forms of data like text and images into machine readable digital data. This process is highly efficient, as it eliminates the need for manual data entry, thereby minimizing the chances of manual errors. However, it is important to follow a few OCR data capture best practices to make the most out of this method. 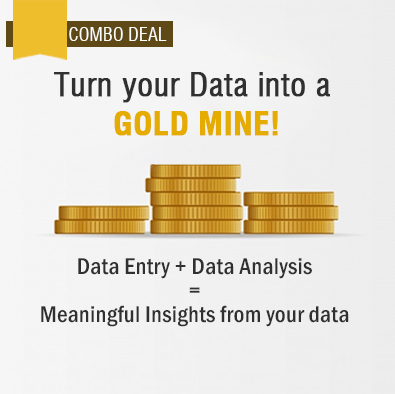 Data entry teams need to analyze each and every aspect of the data in the non-digital form. Right from the paper quality and language to the layout and font, everything that might affect the quality of the automated data capture must be analyzed. This information will enable data entry team to determine whether the data capture process will be easy or not. Furthermore, some type of documents, such as image-rich documents, may require some special measures to make them OCR compatible or an improvised OCR data capture might be required to successfully digitize such documents. All the specific goals of the OCR project must be clearly defined. Depending on the project requirements, the data entry team may need to set their objectives along with tentative timelines to complete the data capture process. Post-OCR process the captured images may need further processing based on the accuracy required in the project. A streamlined OCR data capture process may not determine whether the project will be a success or a failure. However, the data entry team must ensure that a well-planned OCR process workflow is in place to make sure that the data capture project succeeds as per the expectations. A successful OCR-based data capture process requires a thorough quality checking (QC) process in place. The QC program will ensure that the project is on track, will be completion on time, and all the objectives will be achieved. Depending on the budget, your data entry team may choose to either go for an entire project review or just a sectional review. The demands related to the OCR project may vary with time and from project to project. There may be some changes that happen during the project, and the data entry team must be prepared to be flexible and be ready to adapt accordingly. Scale changes may affect the project schedules and pricing and this may require appropriate planning to tackle the changes. Outsource2india is a leading outsourcing firm based in India offering quality data entry services, including OCR-based data capture service to global clients for over 20 years. We offer OCR services by combining the latest image capture and enhancement techniques to deliver the best results within a quick turnaround time at affordable rates. Our team of data entry specialists understands the OCR data capture benefits and has the required skills and expertise to convert paper files, resumes, forms, applications, etc. into digitized and searchable formats. We also provide a series of OCR services including OCR clean up services, document digitizing services, document scanning, microfiche scanning and conversion, etc. Therefore, if you are looking for a quick and accurate OCR data capture service provider, then you have come to the right place. Please feel free to reach us now.